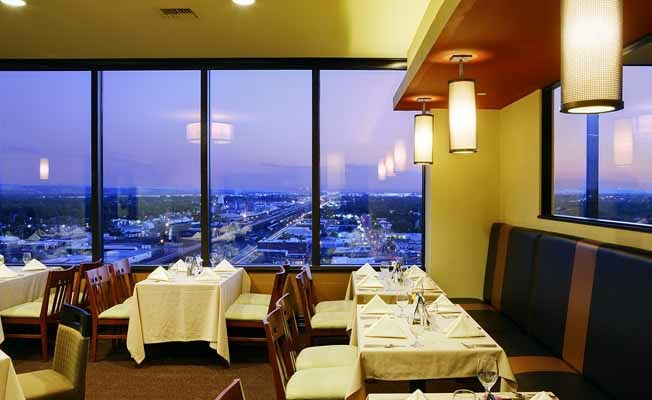 Montana Sky Restaurant is located 20 floors high in the DoubleTree Billings Hotel, offering fine dining with a view. Watch the sunset over the mountains and enjoy our specialty menu selections. Celebrate your special occasion or just take the night off to join us in the elegant Montana Sky Restaurant and Montana's Lounge. The lounge is located on the main lobby of hotel. Montana Sky Restaurant is located in the DoubleTree Billings Billings Hotel on the 20th floor. Montana's Lounge is located on the main lobby level. Take I-90 to the City Center Exit, turn north and proceed one mile to the DoubleTree Billings high-rise Hotel.Montana Sky Restaurant is located in the DoubleTree Billings Billings Hotel on the 20th floor. Montana's Lounge is located on the main lobby level. Take I-90 to the City Center Exit, turn north and proceed one mile to the DoubleTree Billings high-rise Hotel.